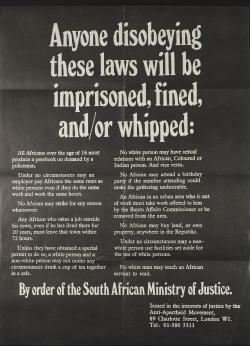 Poster highlighting the discrimination of the apartheid system. 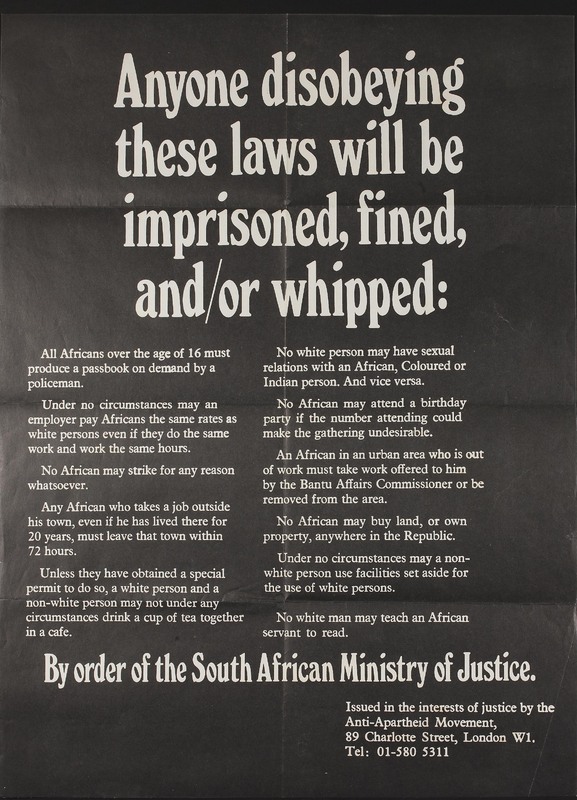 The poster summarizes apartheid laws. This item was digitized by the Anti-Apartheid Movement Archives Committee, which made it available to the African Activist Archive.